Despite recent comments by one its owners, USL’s Louisville City FC says that it is not prepared to announce a MLS expansion bid. Over the last few years, Louisville has caught plenty of attention in professional soccer circles. The club has been among Division II USL’s top-drawing teams at Louisville Slugger Field, and is slated to open a new soccer-specific stadium in 2020. 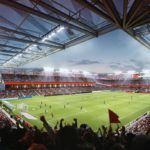 Under the current plans, the stadium will open with an initial seating capacity of 11,300, but could be expanded down the road to accommodate MLS. “Our aim is to play at the highest level of the game that we can in this country and our ambitions there will not waver. However, Louisville City FC is not prepared to announce a formal bid for Major League Soccer expansion at this time and will continue with our commitment to being the best USL franchise we can be,” Louisville City FC spokesman Scott Stewart told the Courier Journal on Tuesday. 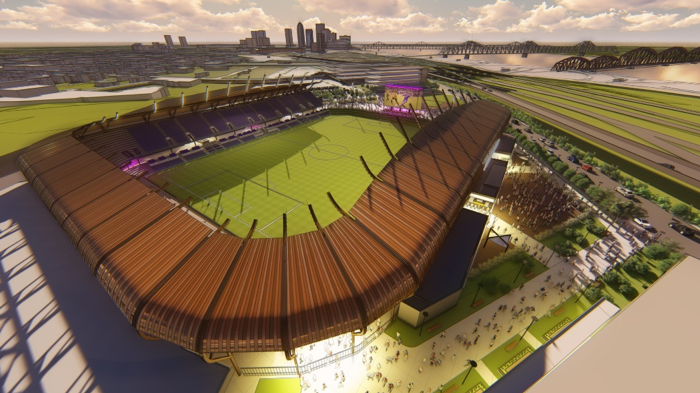 The statement came after Louisville Business First reported that Mike Mountjoy, one of the team’s leaders and co-owners, said Louisville City FC plans to bid on an MLS franchise after the team’s 11,300-seat soccer-specific stadium opens in Butchertown in March 2020. According to Business First, Mountjoy said if the bid is accepted, the goal would be to be active in MLS by the mid-2020s. Considering its current profile as a successful Division II club with a new stadium plan, it is easy to see why Louisville City FC is often speculated as a potential expansion candidate. In fact, the new stadium is envisioned as part of a larger development concept in the city’s Butchertown neighborhood, which fits the bill of many new MLS stadium plans. However, the club seems to be focused for now on furthering its USL success over the coming years and appears willing to wait when it comes to MLS.